27.02.2015. Ashbourne RFC, Ireland. Women's 6 Nations. Ireland V England. 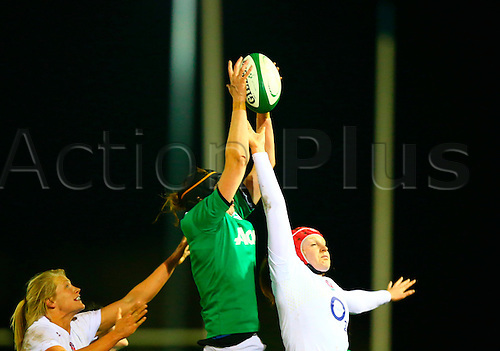 Marie Louise Reilly (Ireland) gets hands to the ball ahead of Harriet Millar-Mills (England).